Listen to the Christian Authors on Tour (CAOT) Blog Talk Radio Show today (9/21/18) at 2 p.m. (EST) to hear a LIVE interview with Christian children's book author, Jaclyn Howell. 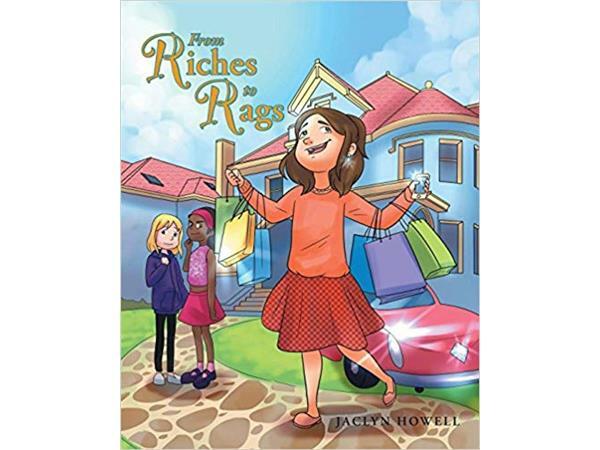 Jaclyn Howell"s first book titled "From Rags to Riches" is a very special book for children aged 8 and up. The underlying theme of the book proves that a decent character is much more vital than living in a secluded world of entitlement. Howell has always been a voracious reader and writer even as a young girl. As an adult, Howell has the opportunity to spread God's word through her books to children. She is blessed immensely with the loving support of her husband, parents, sisters, friends and two year baby boy. Call 858-357-8408 to ask questions of the scheduled guest. Co-hosts include Mitzi Carrasquillo, Leroy Mckenzie Jr. and Lynn Pinder.